Boothbay, Maine - The Maine State Dolphin Open is one of the longest running miniature golf tournaments in the United States and has been held on the weekend after Labor Day at Dolphin Mini Golf for 25 years. Until recently this tournament was a ten round, two day affair but has been cut back in recent years. This year owner and USPMGA Hall of Famer Lee Stoddard, who also was the defending champion, ran a six round tournament on Saturday, September 8th. This year 17 putters from 5 states participated in the tournament. While the field was not as deep as some years, the quality of the field was exceptional with several USPMGA pros participating and four former tournament winners in the field. The six round tournament was split into three, two round sections this year and the question was would we see a repeat champion or would the tournament see it's third first time winner in as many years. John O'Leary came out strong and set the pace after the first section with two 34s for a 68 total, followed closely by Pat Sheridan who carded a 69 after a second round 32 which would tie for the lowest score of the tournament. Craig Sanchez, a long time player in the tournament, would follow just behind with a 70. Thing got more interesting after the second set of rounds. Sheridan, former winner in 2016, jumped to the top spot by one stroke after going one under par for the two rounds. O�Leary remained in second tied with Randy Rice one stroke behind. In fourth was another long time player Steve Hill, just two strokes off the lead. The fifth round would lead to a final shake up before the re-pair in the final round as Mark "The Highlighter" Novicki replaced O�Leary in the top four and Rice took over the top spot after shooting a 34, taking a two stroke lead into the final round. The final round looked like it could be a thriller during hole two as Novicki would ace the hole, closing his gap on second to one stroke. Sheridan would follow up with an ace, thereby closing his gap on first by a stroke. However, Rice took it all in stride, also acing the hole and keeping his lead at 2 strokes. He wouldn�t look back after that, shooting a 32 with five aces and one bogey in the final round. This marks the first win for Rice, who some of you might remember from the Smartest Guy in the Room show that was on History Channel. Sheridan would shoot a 35 in the final round to come in second by 5 strokes, marking the second year in a row he�s taken the silver. 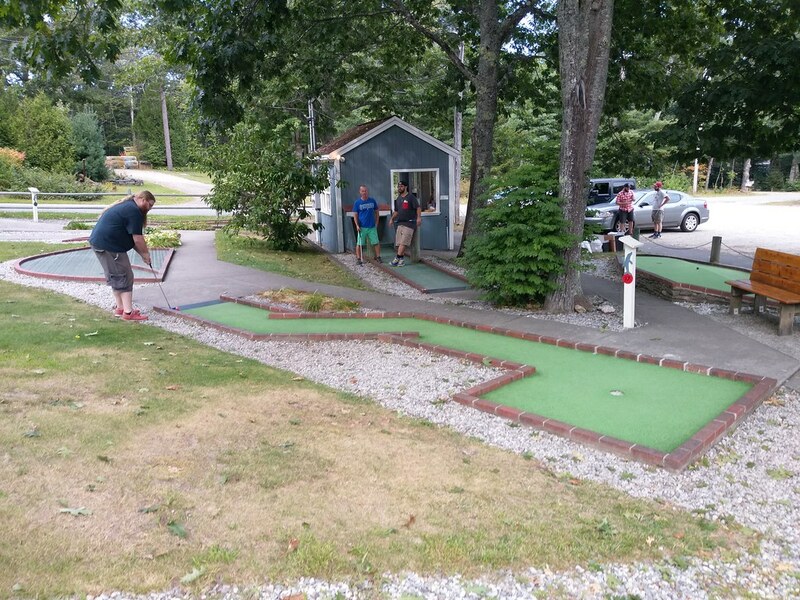 Novicki, who recently won the Farmington Miniature Golf tournament, would win a one hole playoff against fellow UPSPMGA pro Elmer Lawson to complete the podium. Rice, Novicki and Sheridan are all schedule to compete again at the upcoming Matterhorn International Pro-Am on September 22nd in Connecticut. 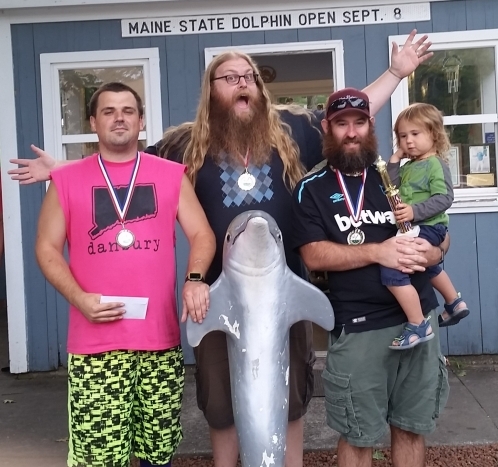 The 2019 edition of the tournament will be held at the Saturday after Labor Day in the US (September 7, 2019) and Lee Stoddard expects to have a large tournament for the 30th anniversary of Dolphin Mini Golf in 2020, so mark your calendars now.